Question: A 16-year-old female patient is seen today with complaints of severe anxiety, anger, flashbacks, and difficulty sleeping that has lasted four months. Patient was previously seen in the emergency room after sustaining a gunshot wound to the left shoulder. Following examination, the patient is diagnosed with post-traumatic stress disorder (PTSD). 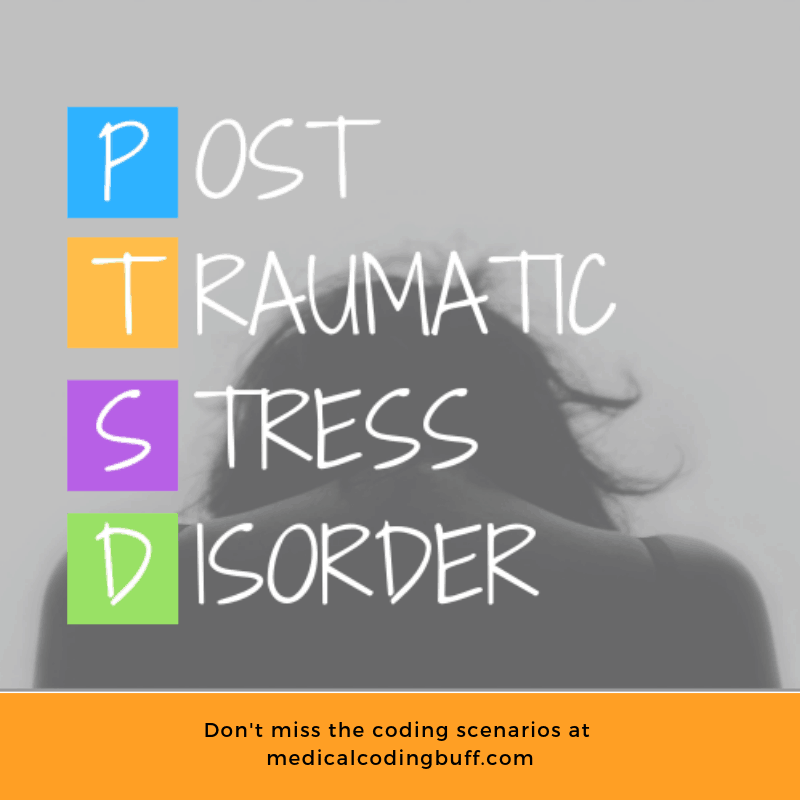 Assign the ICD-10-CM code for the PTSD. F43.10, post-traumatic stress disorder, unspecifiedPost-traumatic stress disorder (PTSD) is reported with ICD-10-CM codes from Chapter 5. Mental, Behavioral and Neurodevelopmental disorders (F01-F99), block F40-F48 Anxiety, dissociative, stress-related, somatoform and other nonpsychotic mental disorders. Looking in the ICD-10-CM coding manual, see Disorder, stress, post-traumatic F43.10. This can be verified in the Tabular as F43.10 Post-traumatic stress disorder, unspecified. Symptoms of PTSD often occur within three months of a traumatic event, but they may appear later. For a person to be diagnosed with PTSD, the symptoms must last for more than a month, and many times they persist for months or even years.